Turbo is the newest addition to the Garrett Ball Bearing Line up. It fills in the requirements for small displacement 4 cyl. engines and has a excellent response characteristics. It spools up 1,000 RPM sooner than the older GT30R. The Dual Ball Bearing GT3071R Turbo comes assembled with T3 style turbine housing with T3 inlet flange. 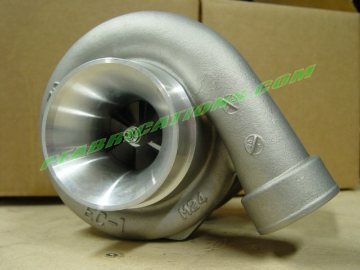 Turbine housing style available in Standard GT or with T3/T4 Ford Style 5 bolt turbine housing. Compressor housing is T04E frame size with 2.00 outlet. Compressor inlet is available with 2.75 or 4.00 inlet.